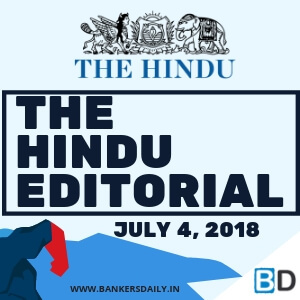 THE HINDU EDITORIAL – July 4, 2018 is one of the must read for the competitive exams like SBI PO Prelims , SBI CLERK Prelims Exam, BOB PO Manipal Online Exam and South Indian Bank PO Manipal Exam. These topics are widely expected to be asked in the reading comprehension , Cloze Test or in Error Detection topics in the forthcoming exams. So gear up for your Exam preparation and learn new words daily. That the first meeting of the Cauvery Water Management Authority took place in a cordial atmosphere augurs well for a sustained phase of constructive cooperation among the States concerned. The CWMA has been formed by the Centre to implement the water-sharing award of the Cauvery Water Dispute Tribunal as modified by the Supreme Court earlier this year. At its meeting on Monday, it asked Karnataka to release 31.24 tmcft (thousand million cubic feet) of water in July. 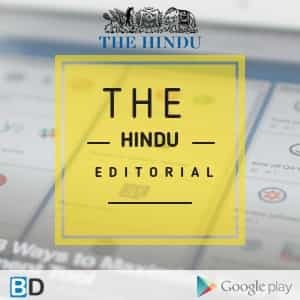 The quantum is based on the monthly schedule drawn up by the Tribunal, and excludes the surplus realised on the Tamil Nadu side in June. For the Authority to successfully perform its role, it needs the cooperation of the States in gathering data on rainfall, inflows and outflows, cropping patterns and periodic withdrawals from reservoirs. The CWMA is expected to meet once every 10 days during the monsoon months. The south-west monsoon has been active for nearly a month, and is forecast to be normal this year. Therefore, the CWMA may not face any major problem in overseeing the release of water to Tamil Nadu. As long as the inflows into Karnataka’s major reservoirs are substantial, it has had no problem releasing its surplus water into the lower riparian areas of the basin. It is only in a distress year that the CWMA will face a significant challenge, as determining the extent of distress, and dividing the shortfall among the States on a pro rata basis can be tricky exercises. Karnataka is planning to challenge in the Supreme Court the Centre’s notification constituting the Authority. It will be unfortunate if this dispute gets into another round of litigation. The provisions of the Inter-State River Water Disputes Act, 1956, make it clear that it is the Centre’s duty to notify a scheme to implement the award of a Tribunal. 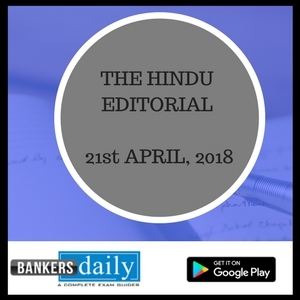 Parliament has the power to modify the scheme, or leave it as it stands, but Karnataka’s claim that the scheme requires parliamentary approval before it is implemented is questionable. Further, the Supreme Court approved the draft scheme only after finding it to be “in consonance with the dictum and directions in the Award as modified by this Court and also in conformity with Section 6A of the 1956 Act”. Now that the CWMA has become functional, Karnataka, Tamil Nadu, Kerala and Puducherry should approach the issue of sharing the waters of the inter-State river in a spirit of cooperation and help the Authority in implementing the verdict. The parties concerned should leave behind the era of litigation. There is now a non-political mechanism available to make sound professional decisions on water availability and sharing of distress, if any, after discussing the issues threadbare. After having been locked in a contentious legal dispute for so long, all parties concerned must embark on a new era of mutually beneficial water-sharing. The suicide attack in the eastern Afghan city of Jalalabad, which left at least 19 people dead, mostly from the minority Sikh and Hindu communities, is yet another warning from the Islamic State to the war-torn country’s dilapidated political and security apparatus. The victims were travelling in a bus to meet President Ashraf Ghani when the bomber struck. That the attack claimed the life of the only Sikh candidate running for elections this year speaks volumes of the plight of minorities in a country once celebrated for its diversity. Over the past few months, the Afghan government has been trying to reach out to the Taliban to begin a peace process. Mr. Ghani first offered the militants pardon in return for giving up weapons, which the group rejected. In the run-up to Id last month, he announced a unilateral ceasefire, which drew a truce, though shorter, from the Taliban. But at a time when the number of Taliban-led attacks has come down, the IS, which controls some areas in the Nangarhar province, in which Jalalabad is located, has stepped up assaults. Last month it had threatened to attack schools in response to U.S. and Afghan military operations in Nangarhar. A day before the Jalalabad attack, a boys’ school in Khogyani district of the province was attacked. Militants beheaded three workers and set fire to the school building. The IS set up its Afghan affiliate as a South Asian outpost when its so-called caliphate in Iraq and Syria came under strain. Afghanistan is relatively easier terrain for the IS to recruit fighters from and occupy turf. When the government and the Taliban were fighting each other, the IS built a network in Nangarhar and started targeting minorities. 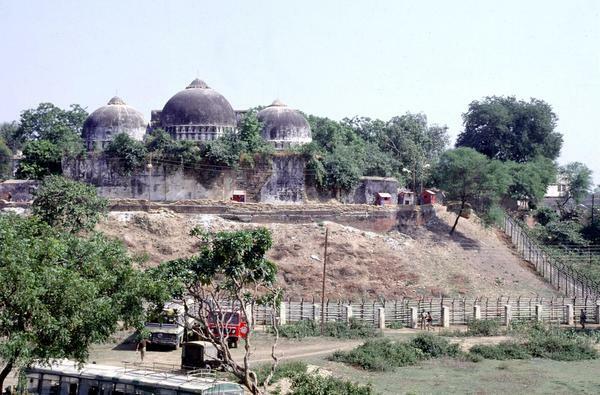 Most of its previous attacks were aimed at the Shia minority. Now, by attacking Sikhs and Hindus, the IS has re-emphasised its worldview and renewed its threat to any attempt to make peace in Afghanistan. Over the past two years, both Afghan and U.S. forces have targeted operations against the IS. Last year the U.S. even used the Mother of All Bombs — the most powerful conventional bomb in its arsenal — against the IS in Nangarhar. But despite these claims the IS remains lethal and capable of striking citizens, as the latest attack suggests. The Afghan government, overstretched in the endless civil war, faces two fronts now. On the one side, it faces the Taliban which controls almost half of Afghan territory; and on the other, the IS’s rising profile is further weakening the already fragile social equation in the country. The war against the Taliban has slipped into a stalemate, and the government’s strategy is to find a peaceful solution to the conflict. Meanwhile, if the IS, is allowed to grow, Afghanistan’s descent into total chaos will only be a matter of time. Meaning: (of an event or circumstance) portend a good or bad outcome. Meaning: Supervise (a person or their work), especially in an official capacity. Meaning: Relating to wetlands adjacent to rivers and streams. Meaning: Give legal or constitutional form to (an institution); establish by law. Meaning: The process of taking legal action. Meaning: A short statement that expresses a general truth or principle. Meaning: Compliance with standards, rules, or laws. Meaning: A long and distinct period of history. Meaning: (of an argument, excuse, idea, etc.) used so often that it is no longer effective. Meaning: (of a place) racked or devastated by war. Meaning: Old and in poor condition. Example: The hotel we stayed in was really dilapidated. Meaning: The complex structure of a particular organization or system. Meaning: A range of different things. Meaning: To try to communicate with a person or a group of people, usually in order to help or involve them. Example: The new mayor is reaching out to the local community to involve them in his plans for the city. Meaning: The action of forgiving or being forgiven for an error or offence. Meaning: To become lower in position or value. Example: I am not going to buy any more coffee until the price comes down. Meaning: To take action when there is a need or opportunity for it. Example: Investors have to step up and assume more responsibility for their assets. Meaning: Cut off the head of (someone), especially as a form of execution. Meaning: Officially attach or connect (a subsidiary group or a person) to an organization. Meaning: A small military camp or position at some distance from the main army, used especially as a guard against surprise attack. Meaning: An area or sphere of activity regarded as someone’s personal territory. Meaning: Place emphasis on (something) again. Meaning: A particular philosophy of life or conception of the world. Meaning: (of weapons or power) non-nuclear. Meaning: A place where weapons and military equipment are stored or made. Meaning: Make excessive demands on. Meaning: Easily destroyed or threatened. Meaning: Pass or change to a lower, worse, or different condition, typically in a gradual or imperceptible way. Meaning: A moral, social, or psychological decline.